Over the years TCL has managed to adapt and carve out a pretty neat if not particularly interesting market niche for itself. At least as far as the alcatel brand goes. In an increasingly competitive and aggressive mobile market, TCL maintains a very flexible portfolio of affordable devices, often specifically tailor towards carriers as conveniently customizable on-contract offers. This year does mark a slight breakaway from that formula at least on a conceptual level with the reveal of a few flexible display concepts and a proprietary hinge mechanism to back them up from TCL. But, even so, the core of alcatel's device strategy remains unchanged. Maintaining a relevant portfolio is no easy task, which mostly explains the tendency for new model releases in impressive numbers. 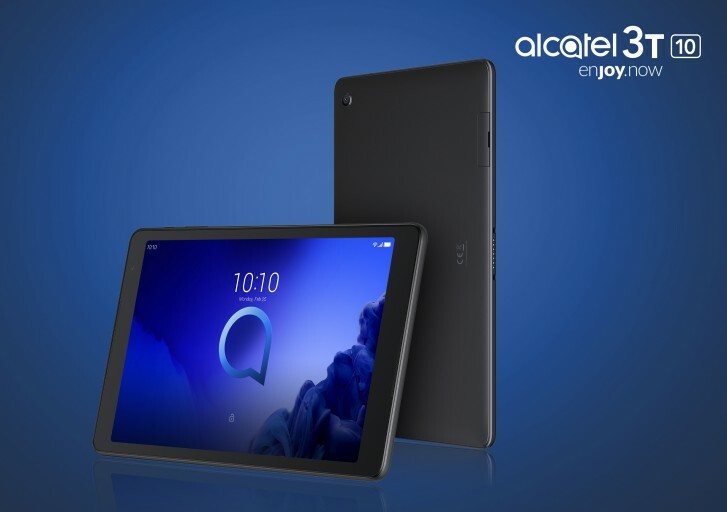 This year is no different with the introduction of the alcatel 1s, 3 and 3L smartphones, as well as the alcatel 3T tablet. At the helm of the new lineup is the alcatel 3 - a device, which despite its name is different from the alcatel 3 from a year ago. Yeah, naming has never really been a strong suit or priority for alcatel. Anyway, the most apparent change for 2019 is definitely the display. Alcatel is calling it "Super Full View" mostly on account of the taller 19.5:9 aspect. It does still feature a small teardrop style notch, but with a 5.9-inch diagonal, it makes for an advertised 88% screen to body ratio. The latter part of that equation is a 151.1 x 69.7 x 7.99 mm, 149-gram plastic shell, available in either a Blue-purple or Black-blue gradient. The panel on the alcatel 3 has a 720 x 1560 pixel resolution, uses IPS tech and features a 2.5D Dragontail screen glass finish. Inside the phone we find a Qualcomm Snapdragon 439 chipset (12nm, 4xCortex-A53 @ 2.0GHz + 4xCortex-a53 @ 1.45GHz), along with 3GB or 4GB of RAM and 32GB or 64GB of expandable storage. Power comes courtesy of a 3,500 mAh battery, sadly lacking fast charging support. The alcatel 3 packs a dual camera setup (13MP, 1/3", 1.12um, f/2.0 + 5MP, 1/5", f/2.4). It can do real-time bokeh, plus post-shot refocus and intelligently identify up to 21 different scenes via AI image scene. On the front - a single 8MP (1/4", 1.12um, f/2.0) snapper. Some of the connectivity options include Wi-Fi b/g/n, Bluetooth 4.2, FM radio, NFC, a fingerprint reader on the back, 3.5mm audio jack and a microUSB port. It's running Android 8.1 Oreo, but an update to Pie is promised shortly. The alcatel 3 will be available starting Q2 this year at EUR 159 for the 32GB + 3GB version and EUR 189 for the bigger 64GB + 4GB one. 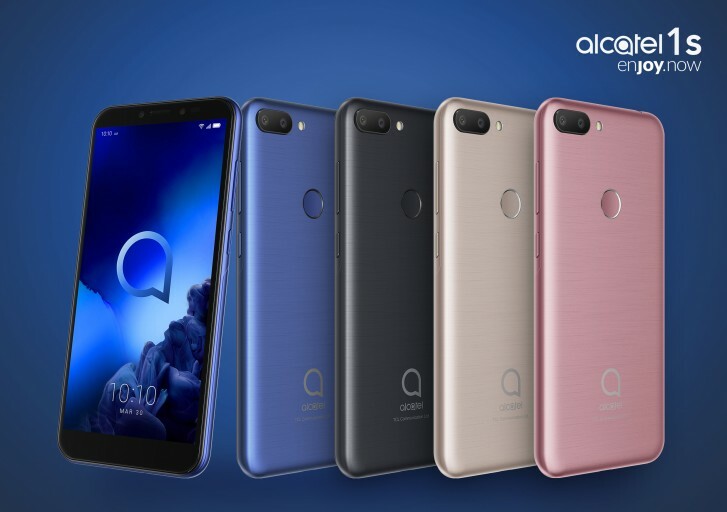 The 3L is just a small step down from the alcatel 3. You get virtually the same body - 151.1 x 69.7 x 7.99 mm, with 4 grams or so of less weight on it. Since the plastic build is the same and so are the 5.94-inch, 19.5:9, 270 x 1560 IPS display and 3,5000 mAh we can only assume the 4 grams are lost on the extravagant paint job. Kidding aside, the 3L comes in either Anthracite back or Metallic Blue. Not quite as eye-catching as the gradients on its sibling. Other notable downgrades include a quad-core Snapdragon 429 chipset (12nm, 4xCortex-A52 @ 1.8GHz), coupled with 2GB of RAM and 16GB of expandable storage. Connectivity is pretty much identical between the two, except for NFC, which was cut from the 3L. The fingerprint reader might also be missing on certain markets. Camera setup has been carried over in full, though on both sides - 13MP + 5MP on the back and 8MP for selfies. That also includes added features like bokeh and post-shot re-focus, as well as the AI scene detection. 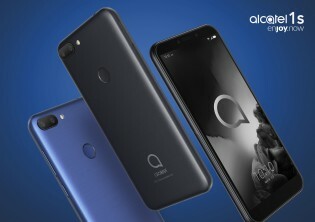 The alcatel 3L will also be available in Q2 this year and will start at EUR 139. 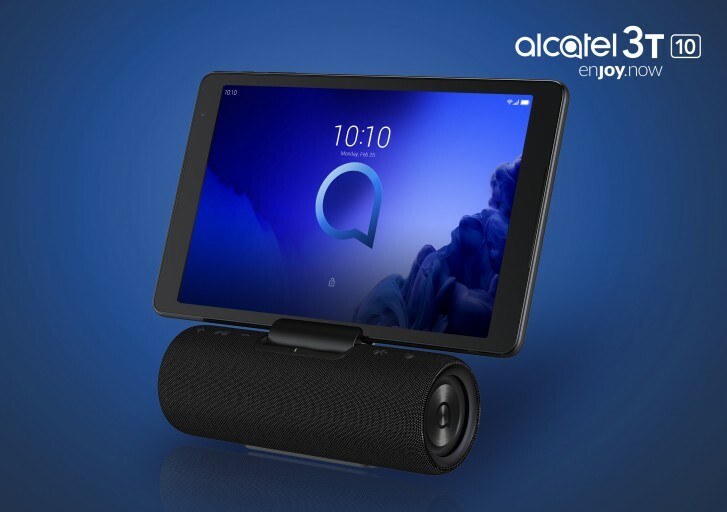 The latest entry-level option from alcatel also features a plastic build, but is a bit more compact at 147.8 x 70.7 x 8.6 mm and tipping the scale at 146 grams. Within that body, TCL fitted a 5.5-inch, 720 x 1440 pixel IPS display, with a slightly less tall, but still perfectly trendy 18:9 aspect. No quoted protective glass, though. Battery capacity is a bit lower at 3,060 mAh. 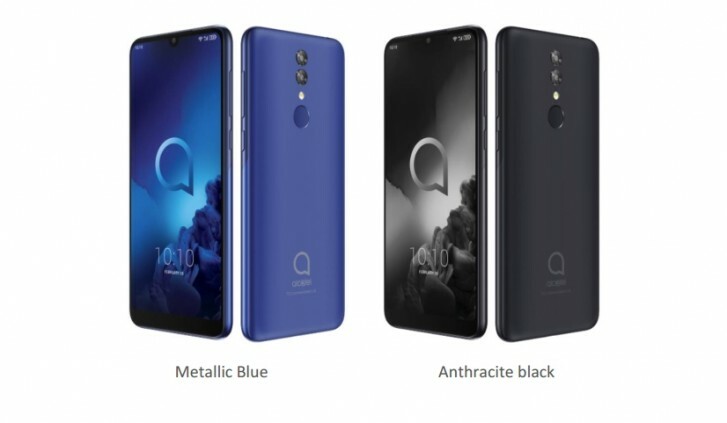 The finish on the unit is pretty comparable to the metallic one on the alcatel 3L, with Metallic Black, Metallic Blue, Rose and Gold as the dye options. Inside the aclatel 1s is a Spreadtrum SC9863 chipset (8xCortex-A55 @ 1.6 GHz, per official spec) along with 3GB of RAM and 32GB of expandable storage. Not really an abundance of power, but still plenty to run Android 9 Pie out of the box - one better than 3 and 3L at launch. Plus, connectivity-wise the 1s comes pretty close to its siblings, rocking things like Wi-Fi b/g/n, Bluetooth 4.2, FM Radio. Even the back-mounted fingerprint reader is there. The camera department does have some slight downgrades. The main 13MP (1/3", 1.12um, f/2.0) snapper appears to be borrowed from its bigger siblings. It is joined by a 2MP (1/5, 1.65um, f/2.8) secondary shooter. Despite the lower resolution it still enables the same real-time bokeh features, as well as scene detection (9 scenes). Selfies are handled by a 5MP (1/5", 1.12um, f/2.2) camera. 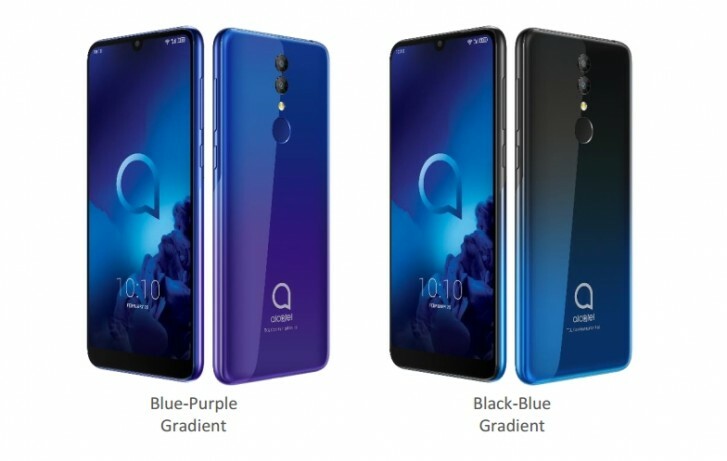 The alcatel 1s will be available in Q2 this year starting at EUR 109. Finally, we have a rather interesting tablet offer. In keeping with the company's confusing naming scheme tradition, the "10" at the end of its model number stems from the 10-inch diagonal of the 800 x 1280 pixel IPS display. So that would probably mean "T" is for a tablet, as opposed to " V" and "X", which are already in use by alcatel phones. But we digress. 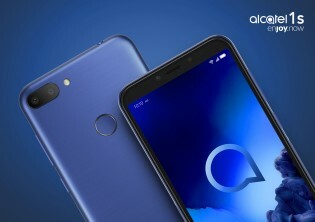 The alcatel 3T 10 actually looks pretty intriguing. Its body measures 260 x 156.6 x 8.95mm and tips the scale at 440 grams. For that, you get the aforementioned display, along with a 4,080 mAh battery. TCL didn't really deem it necessary to disclose the actual chipset inside the 3T 10, but it does apparently include a 4G modem, which you can make use of with a nanoSIM card. Memory is set at 2GB of RAM and 16GB of expandable storage. Other connectivity options include Wi-Fi b/g/n, a microUSB port and 3.5mm audio jack. Speaking of audio though, you probably won't be using that 3.5mm jack too often since the 3T 10 is positioned as a loudspeaker device in more ways than one. First, it has two speakers and an AW8737 amplifier. Then there is DSP far-field voice recognition up to 3 meters. TCL is offering this as a home automation solution, powered by Google Assistant. What makes it even more intriguing though is the optional SK8088G speaker/dock. The 3T simply slides on top of it and connects via a set of pogo pins on one side. Having done that, it can leverage a feature called Fast-Access Display and act as sort of a home automation and multimedia hub. Not unlike what Amazon has been doing with its Fire tablets and docks. As for the speaker, it measures 185 x 67mm covered in a nice fabric, has a 2,000 mAh battery of its own, Bluetooth 4.2 and a 3.5mm jack. This makes it fairly versatile as a speaker on its own merits. By the way, it packs two 5W, 40mm driver speakers. 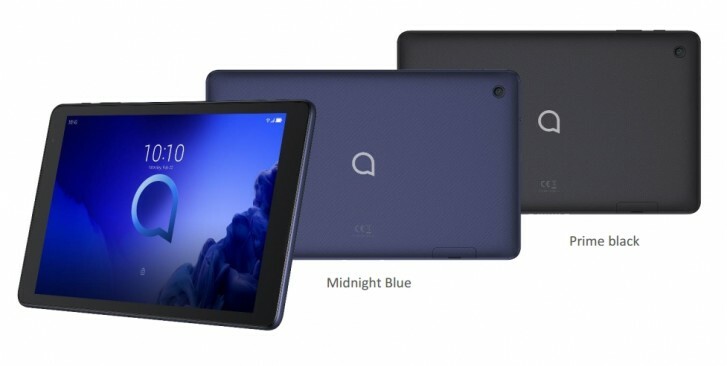 The alcatel 3T 10 tablet will be available later this year, starting at EUR 179. There will also be a bundle with the audio station, starting at EUR 229.